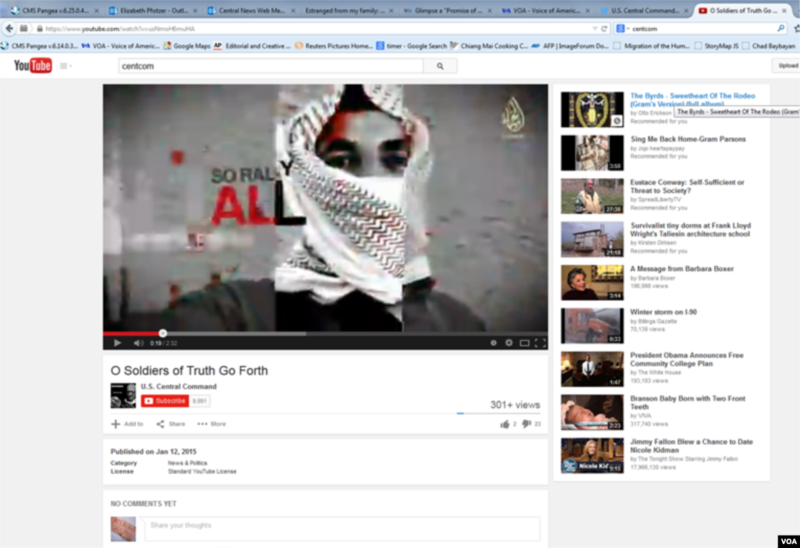 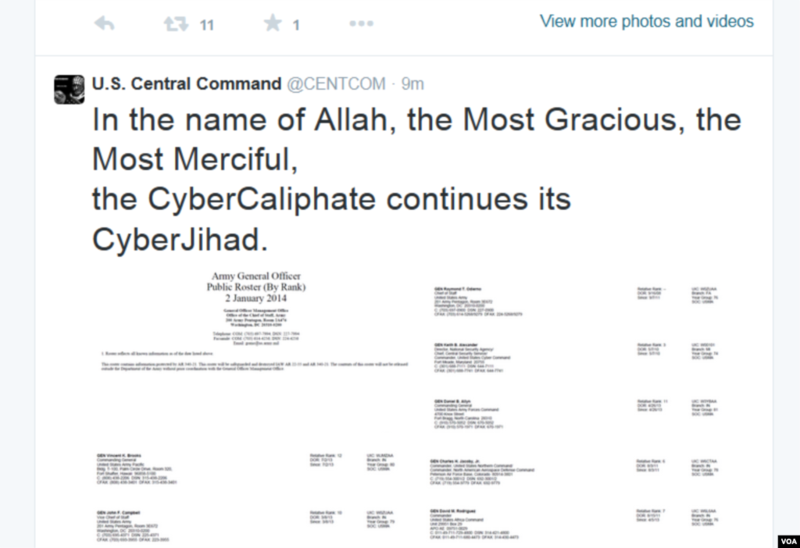 Hackers who say they are loyal to the Islamic State group seized the U.S. Central Command Twitter and Youtube accounts, filling the sites with threatening images and warnings. 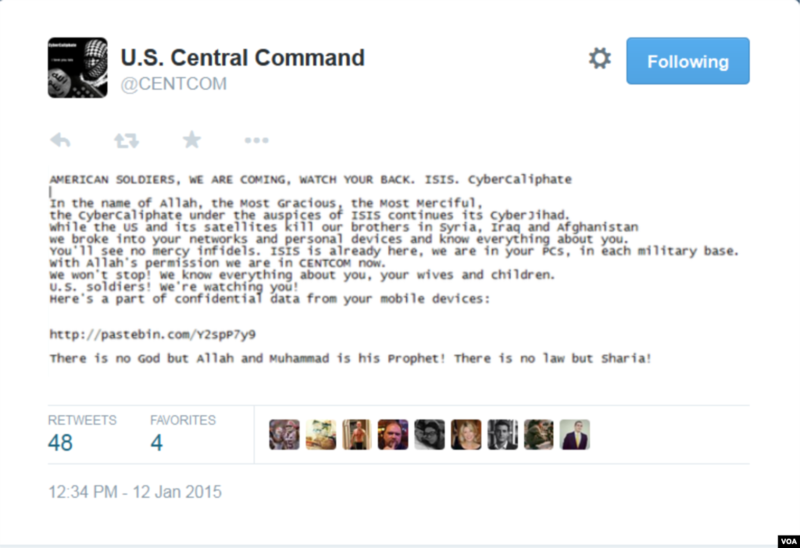 3 Screen shot of the U.S. Central Command Twitter account that was taken over by hackers who say they are loyal to the Islamic State group, Jan. 12, 2015. 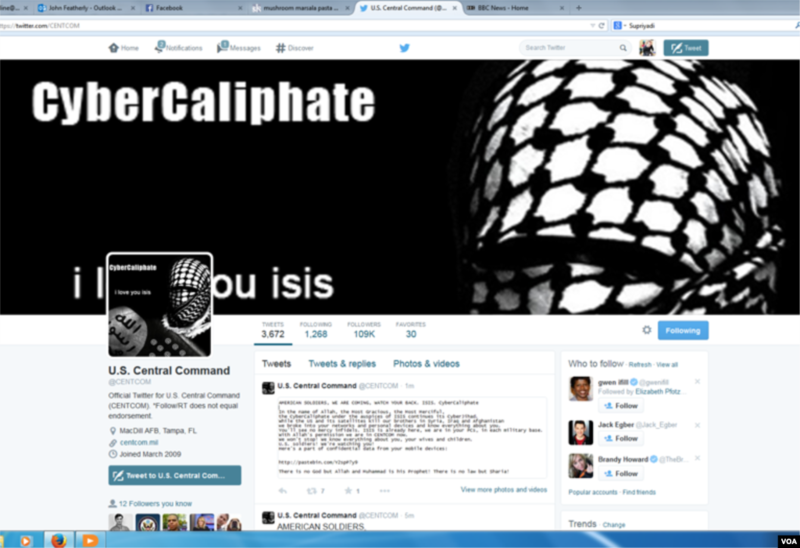 4 Screen shot of the U.S. Central Command Twitter account that was taken over by hackers who say they are loyal to the Islamic State group, Jan. 12, 2015.